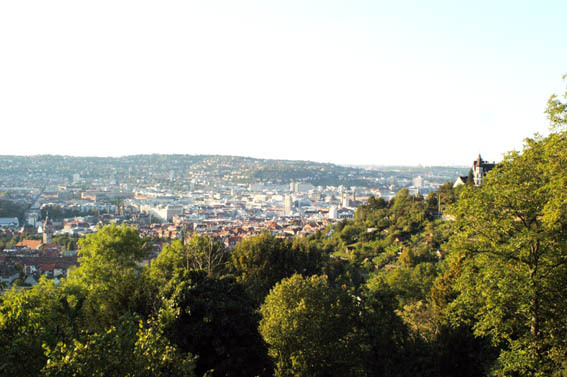 Stuttgart is currently the sixth largest German city and Stuttgart Region is the nation's third largest region. The city is divided into 23 city districts. 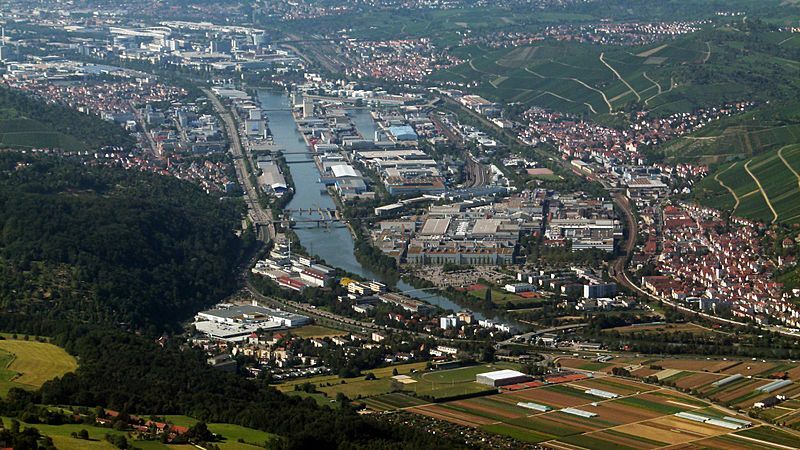 The University of Stuttgart is one of the cities higher education institutions. View of Stuttgart from Alexanderstraße, 1895. 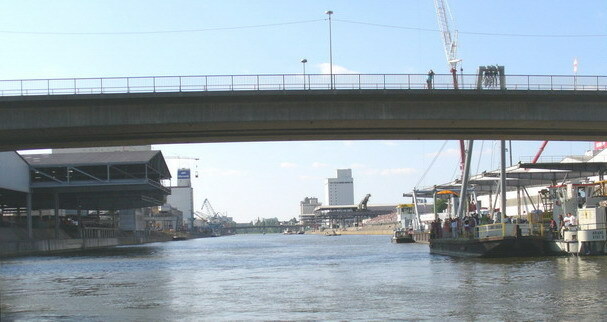 The Rotebühlkaserne is visible to the left, and the Old Castle and Stiftskirche to the right. The historic Stuttgart Marktplatz looking west, 1881. 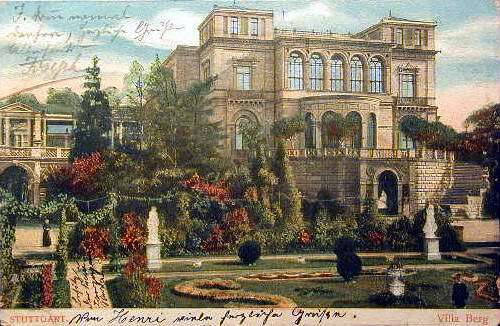 Villa Berg, the summer residence of the royalty of Wurttemberg built from 1845–1853, in a colorized photograph from 1910. 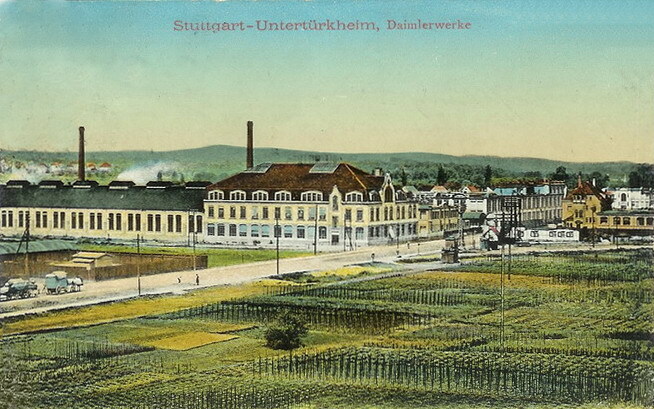 A colorized photo from 1911 of the Daimler-Motoren-Gesellschaft factory in Untertürkheim. Today, this building is the seat of Daimler AG. Front and back sides of a 50-pfennig Notgeld from 1921 featuring the state capital, Stuttgart. Map of the destruction of Stuttgart after the air raids. A war-damaged Neues Schloss at Schlossplatz prior to restoration, 1956. Stuttgart's Hauptbahnhof from the Königstraße, 1965. Stuttgart Facts for Kids. Kiddle Encyclopedia.